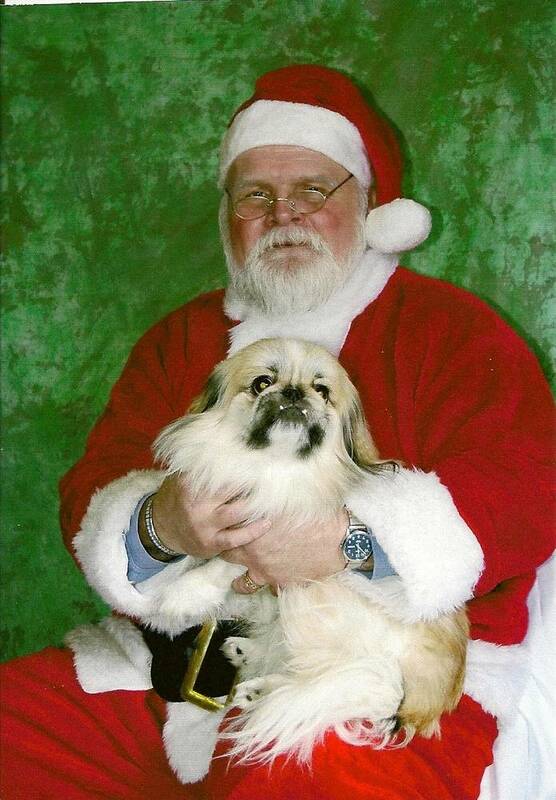 A compact dog with the disposition of a lion, the Pekingese is anything but delicate. The breed has a small build, dense muscles and a solid bone structure. The head is large, with a flat face and ears that are heavily fringed with hair. 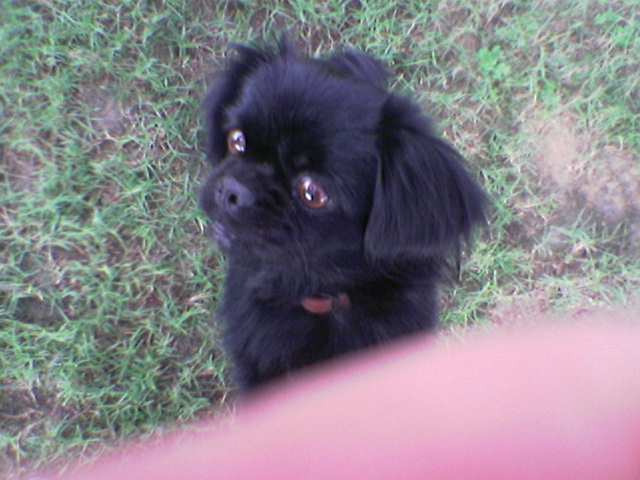 The Pekingese has large, dark eyes that are round but not bulging and a very broad nose with wide, black nostrils. A characteristic V-shaped wrinkle of skin adorns the face just between the bridge of the nose and the eyes. The dog has a flat, whiskered muzzle and a wide jaw. The lower portion of the jaw is undershot but not so severely as to reveal the teeth and tongue when the mouth is closed. The dogs body is long when compared to its height and the combination of a robust front and lighter hindquarters give the Pekingese a pear-shaped appearance. The tail arches slightly at the base, is carried over the back, and is profusely fringed with hair. The breed has both a long outer-coat and a coarse, thick undercoat. The long hair covers the entire body, forming a mane around the neck and shoulders and making the toes and backs of the legs appear feathered. The coat can be any variety of colors but the lips, rims of the eyes and exposed skin on the muzzle are always black. Height (Male) 6 - 9"
Common Misspellings Pekingeese, Pekingeise, or Penkingiese. 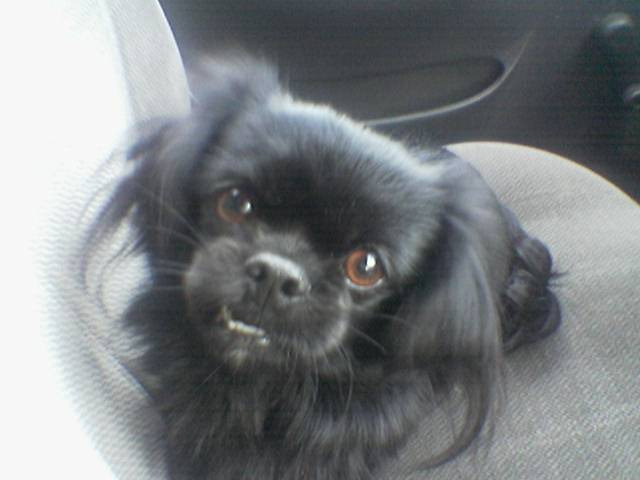 The Pekingese is wary of strangers and can be very jealous of other dogs, pets, or even people. A very intelligent, brave, and independent breed, the Pekingese may challenge its master for dominance, so obedience training beginning at a young age is strongly encouraged. The breed has a tendency to bark excessively, making it both a good watchdog and a potential problem for neighbors. 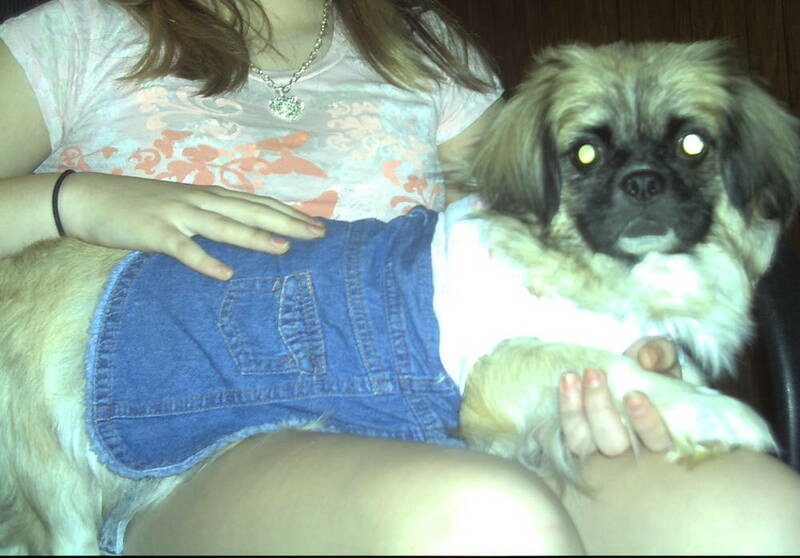 Although the Pekingese is a fairly hardy dog, it is not recommend for young children whose rough play may cause injury. Due to its minimal exercise requirements, the breed can make an excellent apartment dog that does not require a yard. Occasionally, the Pekingese will revolt against leashes, so early leash training is important. Although this breed is not a heavy shedder, matting can be an issue and it is imperative that the dogs coat is brushed daily with extra attention devoted to the rear of the body. The eyes and face require daily cleaning, the feet and ears should be checked regularly for burrs and other objects, and the body must be dry shampooed on a regular basis. The Pekingese may develop stenotic nares, patellar luxaction, elongated soft palate, trichiasis, distichiasis, patellar luxation, skin fold dermatitis, and keratoconjunctivitis sicca. In the early 19th century breeding of the Pekingese reached its peak and although pedigrees were not kept, so-called Imperial Dog Books, used to illustrate ideal dogs, served as a standard. The Pekingese was first brought to England after the 1860 Allied occupation of Peking, when five of the dogs were found in the Summer Palace, surrounded by the bodies of their masters who had killed themselves to avoid capture. The unique breed received much attention in England, where one of the five original dogs was presented as a gift to Queen Victoria. 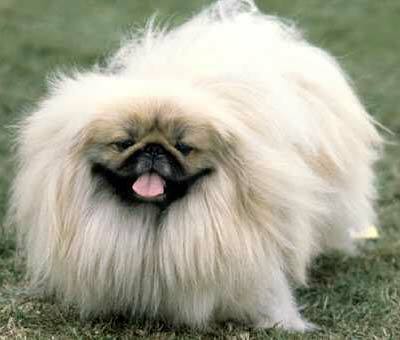 An official standard for the Pekingese was composed in 1898 and the Pekingese Club of England was founded in 1904. The AKC first recognized the breed in 1898, eight years after its first recorded entry into the United States. Although the breed was welcomed with open arms abroad, its fate in China was far more tragic. After the death of Empress Dowager in 1911, Chinese officials began a widespread extermination of the breed to prevent them from falling into unworthy hands. 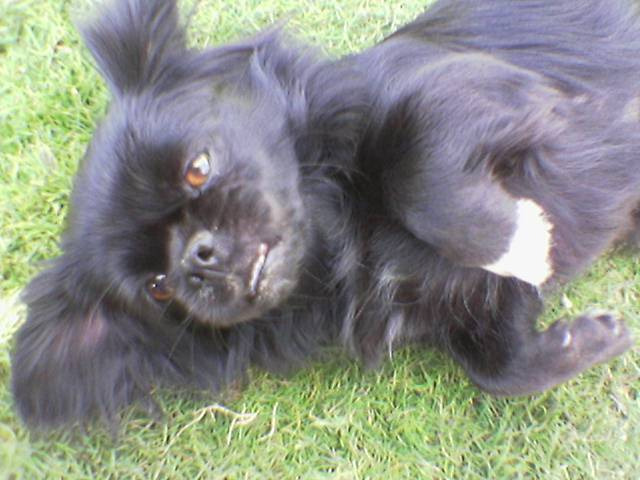 Very few Chinese Pekingese escaped the massacre.